3D Printing is one of the most disruptive technologies around, and MakerBots are changing the way we create and learn. These printers are affordable, personal fabrication tools, compact enough to sit on any desktop, and allow anyone at any skill level to become producers, inventors and artists. MakerBot Operators produce physical objects from strands of melted plastic filament, an activity described colloquially as MakerBotting. With MakerBots, students participate in project-based learning that is experiential in nature and has real-world applications. The process of designing, inventing and fabricating exposes students to various career paths such as industrial design and engineering, and allows them to directly engage with the tools used in those fields. MakerBotting engages students in the world around them, kindles a curiosity about how machines work, how objects fit together, and how the designers, architects, and inventors who build the products, spaces and technology in their lives have found solutions to a variety of design problems. Makerbotting has the potential to transform the way we think about Science, Technology, Engineering and Mathematics (STEM) education, and to inspire more young people to pursue STEM careers. 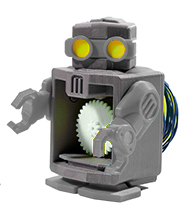 Educators � advance your career with the competency to teach the 3D printing process and create 3D printing lesson plans. 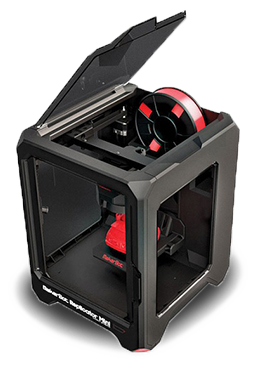 Click to learn how you can get MakerBot Certified� for free, today! Watch as Pratt Institute School of Architecture students use the MakerBot Replicator Desktop 3D Printer to design in ways they never thought possible. Students, Leland Jobson and Andrew Reitz, discuss the necessary role 3D printers will play in their future careers. Camcor, Inc. is a proud reseller of MakerBot products and ready to provide your classroom with everything you need to start your first 3D Printing project. Have questions about 3D Printing or MakerBot? The Camcor team is here to help you find the right solution for your classroom - Shop online or call us at 800-868-2462.